The internet is full of people guiding you on how to plan the perfect strategy that ups your game against the ever transitioning algorithms. Understanding and working amidst this mayhem can be baffling whether you work professionally for a firm that helps clients review SEO pages or you run your small business trying to get some spotlight. It is easy to get lost as soon as you start the process. Between finding the right tool and evaluating all the information gathered, analyzing the correct way forward can be an obscure task. No matter which SEO software you use, there is always a site review tool that hunts down your site listing you all the potential bugs affecting the site performance. 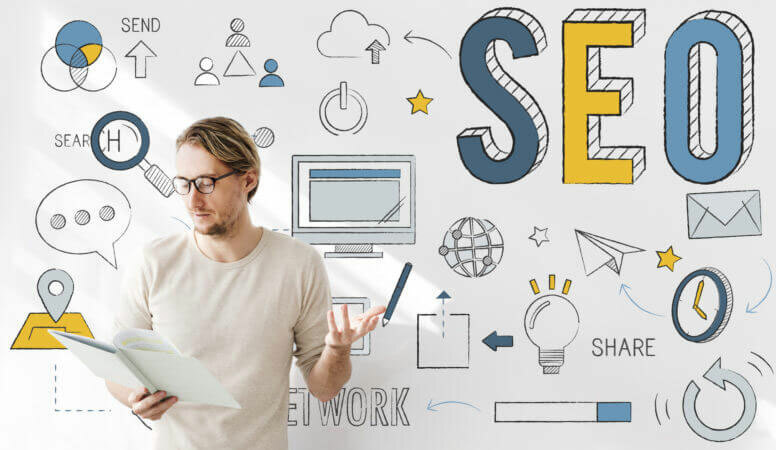 SEO is an organic process which favours site based on their genuineness and brings them under organic search results by recognizing it from the usage of certain keywords. This helps to provide users to find quick and accurate results. Before auditing, it is important to verify the ownership of your site to Google. While working on someone else’s site, ask the owner to add you as a user. In this article, we look at some points that one should keep in mind while doing an SEO audit. Recommending site-specific inbound links is one of the most crucial steps in the SEO audit. Internal links act as a connecting bridge between the new and the old content. Page and Domain Authority provides the data that can be used in determining which pages you should link from. While external links are those foreign links that are related to the content on the site. Mutual sharing of such links brings in more chances of better performance, to the table. Customize your site in such a way that every page (from homepage to the older pages) is accessible. Keep your laser focus on the structure of your site, where the links are placed, whether they are relatable and popular or not and the user-friendly design. Any site providing a good user experience naturally climbs up the SERP ladder. As much as using keywords are important, one should never drift away from the objective content while riding the bandwagon of using more keyword density. Less content plunders the SERP (Search Engine Results Page) rankings. The content on the page should serve the purpose of making the concept clear to the users. The longer the article the more you can provide information about the site which hand in hand asserts its reliability. This, in turn, helps in better positioning of the site on the search page. More content will also make let you use more target keywords, bringing the page in the visibility area. While reviewing, go through all the pages and make recommendations accordingly keeping all of the factors in mind. If you use an SEO software, then content reviewing opens up a report of all of the data. You can now easily export pages, make fixes, provide suggestions altogether. Along with this, make sure you take care if any dummy content presents or not. Google has its ways to know if you are trying to trick its algorithm. On the other hand, this content might even be automatically program generated. Intentionally or not, this will affect the site’s SERP rankings drastically. Read the guidelines provided by Google properly if this bothers you in any way. While maintaining a healthy amount of content, search for keywords and use them to optimize the site. A variety of keyword tools are available online, which will help you search for more effective keywords. These keywords are expected to be both insistent and of lesser volume. SEO’s basic idea is based on keyword optimization, making it foremost to look out for and use the most viable words in the content. This brings in organic traffic to the site. Always keep an eye on updating the content at regular intervals no matter how small it is. You can either update articles with more new data related to content already present or you can update content with keywords that have been statistically proven to perform better. Keep a lookout for words that will eventually help you improve your ranking. Constant updates will make Google aware of your presence. Use SEO tools to see which pages have performed better. Revisit pages with below average performance again, replace and use some new keywords that might level up its ranking. Resize images, reduce the number of hefty links from pages that take longer to load. Google aims at providing users with a swift experience, making it very necessary to keep a check on your site speed. If you have a page that has had zero views in the recent past, consider it for deletion. Poor performance on any of your pages will harm your overall ranking. Google will show about the first 60 characters of your title as a preview, thus you should fit the target keyword followed by the brand name under 60 characters. This is usually followed by a short description. Here, an apt usage of words to describe the content along with the keywords is required. Remember, neither overuse nor omit the vital keywords. With increasing mobile searches, it has become very important to make sites both mobile and desktop friendly along with a decent run page speed. Some programming issues and large size or high-resolution pictures might lead to slow site speed. Fix this and you are more likely to be remunerated by a better ranking. Switch from the usual HTTP to HTTPS. Google is all affirmative for speed and security, both of which is served well by HTTPS. This will require some strenuous searching of the older sites which are HTTP directed switching them to HTTPS. Many times, when a user clicks on a link, a message like “Error Page Not Found” appears. This happens if some old links or images are removed or replaced. This can be irritating for people surfing from one site to another, thus degrading user experience. Site Audit tools will help you in identifying the problem and fixing it. Even after this, with Google and its algorithm changing every day, it is hard to state any clear-cut method of scrutinizing SEO pages. The best way to reach the top is the simple trial and error method, through making mistakes and correcting them consistently.